I've been meaning to do something creative with the empty space above my bed for a while now. I've seen lots of embroidery hoops pop up in various places recently and thought a collection of these with some lovely vintage fabric would look rather nice. So I raided my fabric collection - and voila! 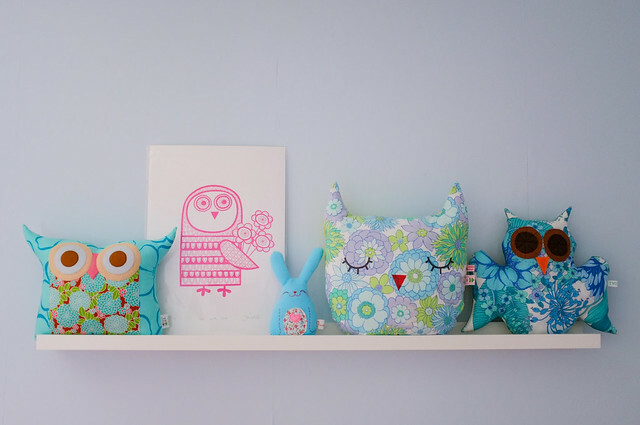 My bedroom walls are a pale aqua and I have a shelf of aqua owls that I wanted to co-ordinate with, so this was my starting point. 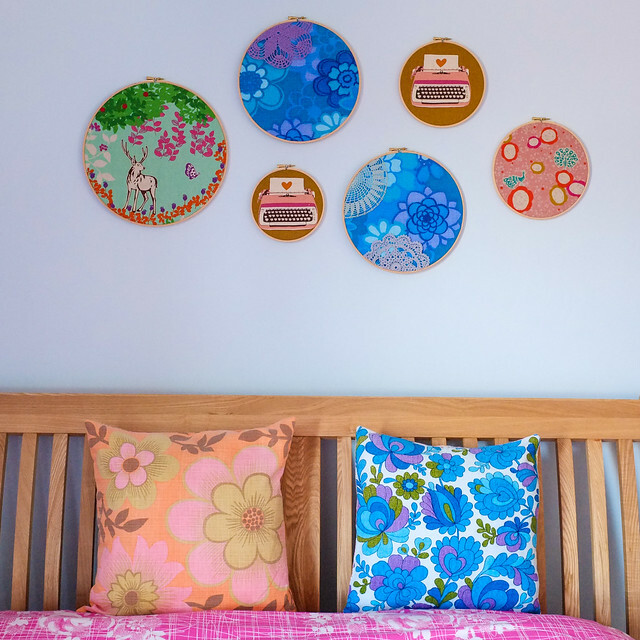 The blue 70s barkcloth was a real find (from the Oxford vintage Thursday market) as this co-ordinates perfectly with my gorgeous bedside lampshade from follyandglee. It looked a bit plain, so I popped a few doilies in the hoops to cheer it up.